deal with Russian business players fruitfully. Welcome and thank you for checking my little corner of the web. 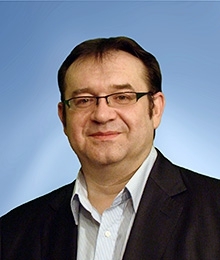 I am Stanislav Grafski, a Russian management consultant, lawyer, business executive, and entrepreneur with 30 years+ of hands-on expertise in market entry and business development in Russia. you will benefit from this visit. May I suggest your next course of action? 1. Book your free no-obligation consultation with me to analyse your situation and propose an appropriate action plan to meet your particular needs. 2. Glance at the Russian Opportunity, Attractive Industries and Niches and Who Benefits Most Out Of The Russian Market sections. That will equip you with some facts about today’s Russian business environment, market trends, return on investment levels, investment attractive sectors and niches, etc. Apply it to your particular business needs and core competences. 3. Check our Russian Market Entry Programme, the core of our market offering, which enables international players to enter the Russian market rapidly and without significant costs, while benefiting from One Stop Shop approach. In today’s downturn-affected world, RUSSIA IS A PROMISED LAND for businesses from all across the globe, passionate entrepreneurs and hard-working doers, out-of-the-box trailblazers and creative challengers. I know that for a fact from my experience. And we will be happy to share our insights and battle tested practices with anyone who asks. Feel free to contact us with your enquiries related to entering the Russian market and doing business in Russia.